Boston Ballet will open its 52nd season with a work likely of more interest to BMInt readers than most terpsichorean fare. John Neumeier’s choreography for Mahler’s Third Symphony has has been acclaimed as “a work of genius” (Clive Barnes, New York Post). Boston Ballet becomes only the fourth company in the world—after the Hamburg, Paris Opera, and Royal Swedish Ballets—to present Neumeier’s iconic work, and the first in North America to mount it. Featuring the Boston Ballet Orchestra under Jonathan McPhee along with the New World Chorale, as well as accomplished American soprano Sarah Pelletier, Third Symphony of Gustav Mahler will run from October 22nd through November 1st at the Boston Opera House. And speaking of the Boston Opera House (nee B.F. Keith Memorial Theater), Emerson College’s unfortunate recent closing of Clarence Blackall’s masterful Colonial Theater gives us another reason for visiting one of Boston’s two best remaining pleasure palaces. Only enthusiastic full houses will keep these stunning anachronisms viable. “This work is an ode to, and touches the essence of, humankind. If you have ever experienced birth, death, relationships, love, emptiness, jubilation, you can relate to it,” pronounces Mikko Nissinen, artistic director of Boston Ballet. BMInt had some questions for Russell Kaiser, assistant artistic director, and conductor Jonathan McPhee. FLE: Doesn’t everything we do touch the essence of humankind? RK: I think everything we do strives to affect everyone in some way. One of the beautiful aspects of this art form is can be experienced in so many different ways by different people. Often a ballet will have one or two different emotional aspects. But Mahler has the ability to take you on a journey that few ballets can. I can’t imagine any scenery or elaborate costumes for this choreography. Will it be black backdrop, tights and leotards? No tutus, correct? Correct. The costumes are a simple and beautiful array of tights, leotards and unitards. The scene is set with a series of black and white legs and borders that evolve over the course of the ballet. How musical are the dancers? Will they be counting before each step or do they really feel the pulse and line? I would have to say a combination of both, depending on the role. The dancers are extremely musical and must know this music from the inside out in order to produce the essence of movement that Neumeier is looking for. With many ballet companies using canned music, how extraordinary it is to be presenting a major symphonic work in an orchestra pit. And how does it all fit? Where will the chorus be? Where will the soloists stand? JM: Canned music can work in some instances with choreography designed to be done to tape or to music that cannot be done live, like a musical improv that cannot be repeated the same way twice for example. Most dance feeds off the relationship with live music. With understanding among conductor, choreographer, and dancer, there lives a mutually inspiring moment that feeds the music and the dance. Fitting everyone in the pit was a challenge. Most of the brass are tiered out of the pit house left into the opera box. The chorus is in the opera box house right. Soloist Sarah Pelletier is in front of me in the pit. There are 80 musicians and 23 in the chorus. This is one of the most awe-inspiring projects with which I have ever been involved. John Neumeier’s understanding of the music and his choreography are nothing short of brilliant. It is an honor. What will the response be of someone expecting The Nutcracker? RK: That’s a little hard to say since I would expect it to be different for everyone. 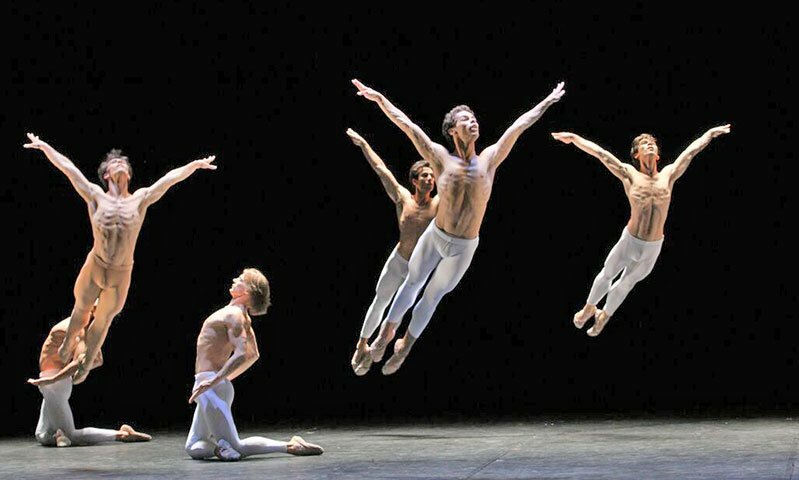 But if one allows oneself to sit back and absorb this extraordinary score and visualize it through Neumeier’s choreography, they will leave the theater a new person. Since its premiere, in 1975 by the Hamburg Ballet, Third Symphony of Gustav Mahler: A Ballet by John Neumeier has remained one of the defining works of the choreographer’s prolific career. Reflecting Mahler’s timeless score, Neumeier internalized and reported that he “translated the feelings experienced and images suggested while hearing Mahler’s Third Symphony into movement”. The result is a stunning expression of the virtuosity of the monumental score—a skillful interpretation that stays “true to the subtext of Mahler’s grandiose symphony” (Anna Kisselgoff, New York Times). Neumeier dedicated the fourth movement to the memory of his esteemed mentor the famed choreographer John Cranko. The full-length work will be performed without intermission. The 30-minute first movement uniquely showcases 29 male dancers using their bodies to form complex geometric shapes through challenging partnering. Within the six movements, Neumeier presents a dynamic spectrum of images and emotion; however, as the choreographer explains, just as a dancer is given the artistic liberty to interpret the movement, the audience should also be given the freedom to “feel what the images are projecting to [them] personally.” Apart from its physical, demanding nature, Third Symphony of Gustav Mahler is also an intense emotional and spiritual journey for both viewers and dancers. While working with Boston Ballet in August, Neumeier called upon each dancer to become personally and emotionally invested in the work. He returned to work with the company on October 15 until the premiere On October 22. Rarely performed due to the orchestral forces it requires, Third Symphony of Gustav Mahler is Neumeier’s longest orchestral work, lasting over 100 minutes. In addition to a greatly enhanced Boston Ballet Orchestra—Mahler’s piece harnesses the power of a full chorus and a female vocalist, both appearing in the fourth and fifth movements. New World Chorale One of Boston’s most in-demand choral ensembles, and soprano Sarah Pelletier, who has been praised by the Boston Globe for her “purity of tone and expression,” will join Jonathan McPhee, music director and principal conductor, and the Boston Ballet Orchestra in performing Mahler’s monumental piece. The combined forces of the Boston Ballet Orchestra and New World Chorale will create a truly immersive experience, spilling out of the pit and into the boxes of the Boston Opera House. 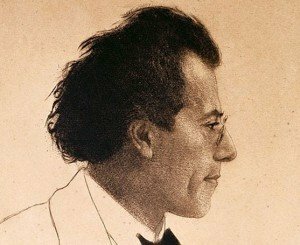 Famous for his grand orchestrations, Mahler himself envisioned his Third Symphony to be “something the likes of which the world has never yet heard! In it the whole of nature finds a voice.” He wanted his work to serve as a canvas for the audience’s imagination to run wild. Even though the Third Symphony was written more than a century ago, Neumeier’s contemporary choreography has been recognized as a strikingly appropriate partner for the late-Romantic score. Dance legend John Neumeier is one of the leading choreographers of the 21st century. Also one of the longest-serving artistic directors in the world of dance, Neumeier has led the Hamburg Ballet since 1973, where he has choreographed a diverse range of works that continue to be performed by premiere companies across the globe. Renowned for his skillful interpretations and athletic choreography, Neumeier is a recipient of multiple prestigious awards, including the Dance Magazine Award (1983), the Nijinsky Award for Lifetime Achievement, and most recently, the 2015 Kyoto Prize in the arts and philosophy category. Neumeier dedicated the fourth movement of Third Symphony of Gustav Mahler to the memory of his esteemed mentor John Cranko. Of the many celebrated works Neumeier has created, Third Symphony of Gustav Mahler has been hailed as “his greatest and most deserved success” (Kisselgoff, New York Times). Tickets start at $35. For more information, visit www.bostonballet.org or call 617-695-6955. Performance length is approximately 1 hour and 45 minutes, without intermission. Since 1963, Boston Ballet’s internationally acclaimed performances of classical, neoclassical, and contemporary ballets, combined with a dedication to world-class dance education and community initiative programs, have made the institution a leader in its field, with a 52-year history of promoting excellence and access to dance. Under the leadership of Artistic Director Mikko Nissinen and Executive Director Max Hodges, the Company maintains a diverse repertoire, ranging from full-length ballets to new works by some of today’s finest choreographers. Boston Ballet’s second company, Boston Ballet II, comprises dancers who gain experience by performing with the Company and independently, presenting special programs to audiences throughout the Northeast. Programming for Boston Ballet’s 2015-2016 season includes Third Symphony of Gustav Mahler: A Ballet by John Neumeier, making Boston Ballet the first North American Company to perform the work; captivating classical works such as John Cranko’s Onegin and Mikko Nissinen’s Swan Lake; masterpieces by world-renowned choreographers such as George Balanchine and 20th-century masters Leonid Yakobson and Léonide Massine; and two highly anticipated world premieres by Karole Armitage and Yury Yanowsky.